Rajinder was born in India, a culture rich in ancient traditions of Spirituality, Faith and Religions. His parents knew of his path years before he was born and it was no surprise when he started to accompany his father to Spiritual Teachers at an early age. At the age of eleven he moved London with his uncle leaving his family in India. The years spent away from his family were not easy and after twelve years he returned to India only to find his sister very ill and his father not well either. The following year his sister passed away and a year later his father, his hero. The need to heal and answer the calling only grew stronger and in the years that followed he was back on his path trying to combine his spiritual quest with his day job. The calling took him to spend time and learn from Master Shamans and Spiritual Teachers in India, West Africa, USA, Europe and more recently Peru which he now regards as his second spiritual home. In 2004 he moved to Cork and he started to practice energy work full time and teach meditation in its various forms. 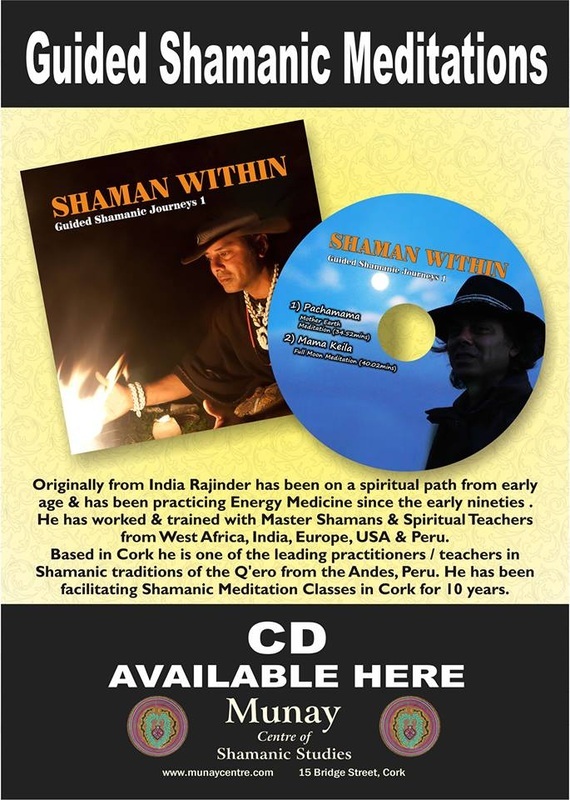 After eight years working from Dervish Holistic centre as well as Hagal Farm in Cork on Winter Solstice 2012 Rajinder embraced his vision and opened the 'Munay Centre of Shamanic Studies'. He believes that knowledge is a gift & a blessing that has been passed down to us and that we need to pass it on to the next generation. After years of giving introductory workshops on various aspects of Shamanic work in 2012 Rajinder started training those interested in this work. This is hard work he explains as first the Student needs to learn about him/herself, learn the stories, the wounds that live within them and heal them and not everyone is ready to heal the past. Clarity to help others can only come when you heal the traumas within yourself and for a Shaman this is an essential part of training. The very basic work can take years for some people to get to grips with let alone master. Although lighthearted at the best of times Rajinder is serious about his work as a practitioner and as a teacher. 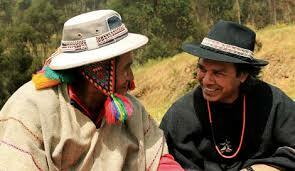 He offers on going Meditation classes, Workshops, Practitioner Courses, One to One Sessions and takes groups on Sacred Trips to Peru and India.